Melasma is a skin condition which causes discoloration and dark patches on your skin. It is more common in women than men. It is also called the ‘mask of pregnancy’ or chloasma when it is caused due to hormonal changes during pregnancy. These patches on the face are darker and symmetrical on both sides of your face. Areas of the body that are exposed to the sun for a prolonged period of time can also develop melasma. It doesn’t cause any physical complications, but it can give you an unsightly appearance. Doctors and researchers are still not sure what causes melasma although studies have shown that progesterone and estrogen levels tend to affect your skin leading to melasma. Hormonal changes caused by underlying physical causes. 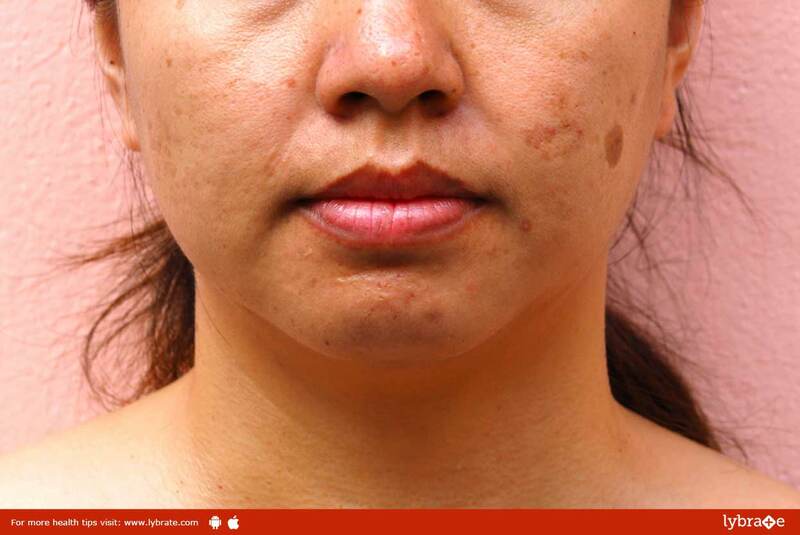 Brownish patches on the forehead, cheeks, chin and bridge of the nose are signs of melasma. In pregnancy, melasma usually fades on its own after you have delivered your baby. Avoid consuming birth control pills or change the medication for a change in composition of the drugs. More often than not, it’s the composition of a pill that causes melasma rather than birth control pills in general. Hydroquinone is an ointment which can be applied on the skin. This lightens the dark patches on your skin caused due to melasma. Corticosteroids and tretinoin – This medication is generally prescribed by a dermatologist to lighten the patches caused by melasma. This should be taken under a doctor’s prescription. Topical skin medicines – Medications which contain kojic acid or azelaic acid can also help reduce the brownish patches on your skin. Procedures – If medicines and creams don’t get rid of the patches, procedures such as dermabrasion, microdermabrasion and chemical peel procedures are advised. These procedures should be done under a certified dermatologist. This also prevents melasma from re-occurring in the future. ← Get Rid Of Shoulder Pain Right Away! !